Macao reported record gaming revenues of US$433.5 billion in 2011, up 42.2% year-on-year, the Financial Times reported. The increase was in part fueled by a surge in illegal money transfers from mainland China, where gambling is banned; mainland tourists are allowed to carry RMB20,000 (US$3,175) into the territory, but many find a way to bring much more. For example, some Macao pawn shops allow gamblers to purchase expensive items in renminbi using a Unionpay credit card and will then immediately refund the item in Macao patacas or Hong Kong dollars. For wealthy customers, financing is available through junket operators who use criminal gangs to smuggle cash across the border. 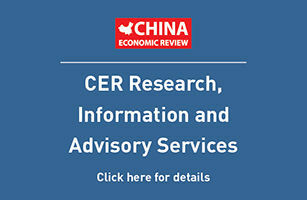 “Beijing is unlikely to take measures such as tightening visa restrictions or clamping down on debit card cashback services, as long as Macao is seen as a safe and enjoyable place to visit and casino operators refrain from activities or comments that might portray the city in a bad light,” says Grant Govertsen of Union Gaming Research.